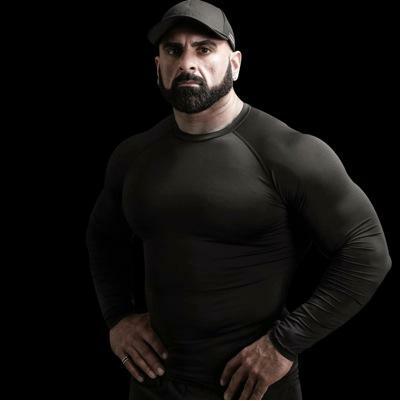 No Cardio Needed says Owner of Symmetry Gym Dubai! The reasons are numerous, but I currently think that traditional cardio creates metabolic problems over time (from a bioenergetics perspective), such as low energy availability and a lowered heart rate (which is NOT a sign of health, but quite the opposite). Why and how this happens, is a complex abyss that Im still only able to shine a flashlight in, so give me a few more years. We do not do any traditional cardio at Symmetry Gym. 1- Efficiency:: cardio takes too much time for too little return. Time is the most precious asset we have and I dont want anyone to waste it without maximum benefit. I can get the average person to drop 6 kilograms of pure fat in 6 weeks with only 3 sessions at Symmetry Gym Dubai. Cardio could never do that. 2- Lack of Structural enhancement: cardio does next to nothing for creating a chiselled physique. You get lighter on the scale but look the same in the mirror, with all your sagging bodyparts sagging even more now. Only weight/resistance training can tighten and "lift" your body creating an appearance of youthful vitality. And finally, the big news - you can enhance cardiovascular fitness with strength training, but you cannot achieve the reverse. "Resistance training to momentary muscular failure causes sufficient acute stimuli to produce chronic physiological adaptations that enhance cardiovascular fitness. This review appears to be the first to present this conclusion and, therefore, it may help stimulate a changing paradigm addressing the misnomer of ‘cardiovascular’ exercise as being determined by modality." Symmetry Gym Dubai is the most successful personal training studio in the UAE. With a total of 12 years experience in the field (6 specifically in Dubai), and over 2,000 clients trained successfully, we pull no punches when we tell you that we are the best in town.